After using one of those little rolypoly courgettes in a salad last week, I still had quite a few left. Here in Turkey we are no stranger to stuffing vegetables; in fact, this is probably the first thing that comes into our heads. These little wobbly men are just perfect to stuff. TT is a bit unhappy with my translation above: yuvarlak kabak – he says he had never in his life seen these before last week!So they are new and trendy! I think they are adorable. So they are new and trendy! I think they are adorable. and it went on …. My reaction was to retreat to the tried-and-tested comfort of a typical Turkish dolma filling which in a way made me laugh: here was I, at times critical of the all-too-predictable ingredients in many Turkish dishes, turning my nose up at what can only be called more creative ones! I also noted that some recipes call for these little fellows to be either a starter or a ‘side’. Here, they would be very much the main course, served hot with a rice pilaf and yogurt on top: that’s what I am used to and I’m sticking to it! 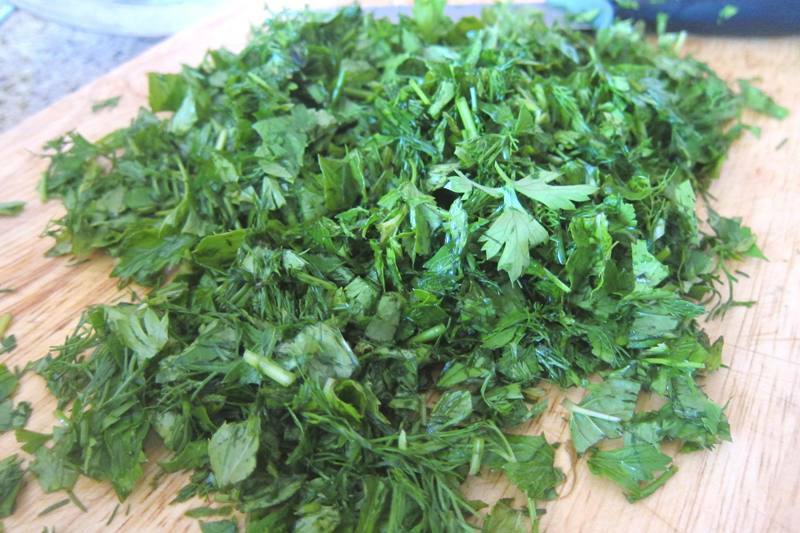 This is a very simple but authentic Turkish recipe: precise amounts are not critical to the overall success of the dish. Lightly salt them on the inside. Mix all remaining ingredients together with your hands and knead well. 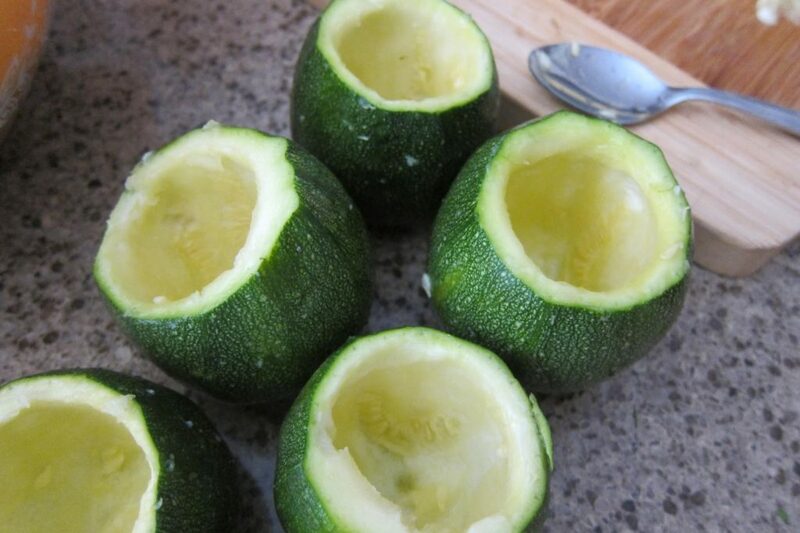 Fill the hollowed out courgette shells 2/3 full as they will swell during cooking. Top either with their own little caps or with slices/pieces of tomato for a nice colour contrast. Arrange close together in a heavy,round pan. One layer is ideal. 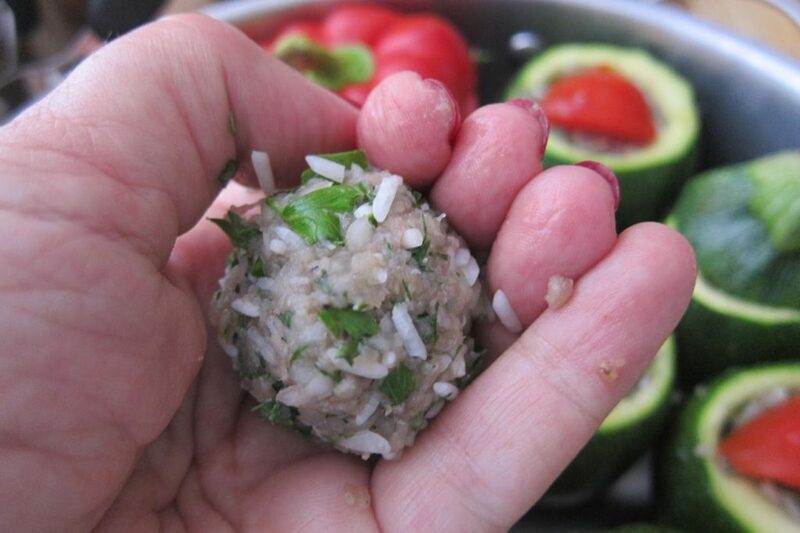 If you have extra filling left over, either look in your fridge for other stuffable vegetables like I did (I found a red pepper and a big fat tomato) and/or make little round meatballs. Lay these on top of the dolma. Dot with little knobs of butter and fill the pan with cold water to a level halfway up the courgettes. 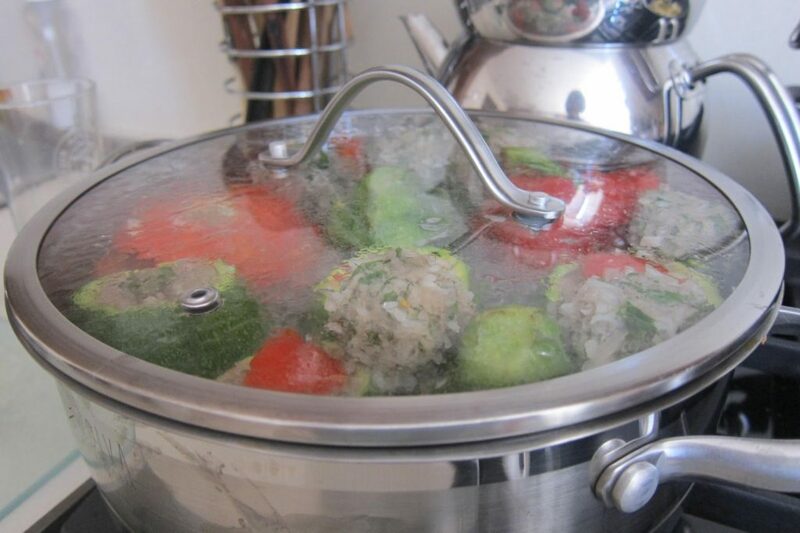 Bring the water to a gentle boil, then cover and gently cook for 30 minutes, or till the filling is done. Be careful not to overcook as the courgettes will become too soft. Top up with water if necessary. To finish off, place in a hot oven and bake till the courgettes turn an attractive brown. For me, dolma are very seasonal and associated with summer. I know we can now find aubergines, green peppers and the regular courgettes ie all the stuffing vegetables, just about all the year round, but they will never have the taste that they have now :). 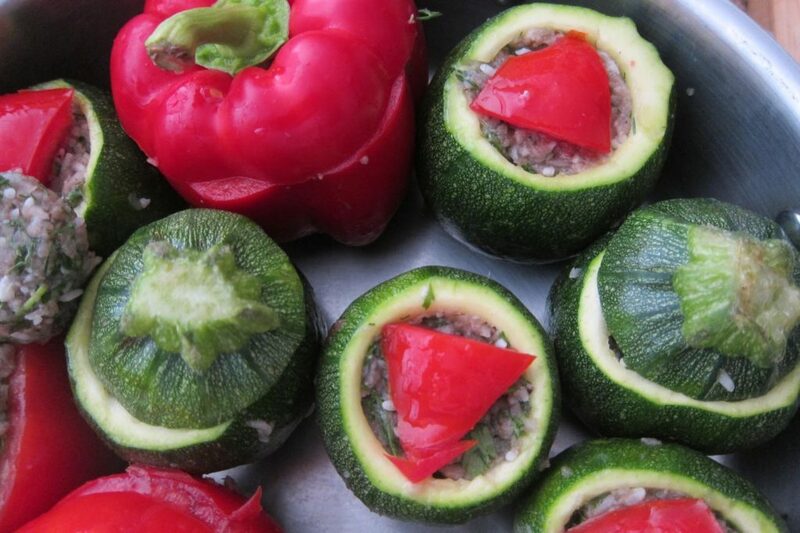 Look at my previous summer dolma recipe by clicking here! Do you discard the flesh? Could I put it in the filling? good question, Jana. Typically, the inner flesh is used to make mücver – do you know these? They are little patties made from the kabak with fresh herbs, white cheese,eggs and flour. the mixture can also be baked in a large ovenproof dish. But to tell you the truth, it's not my favourite: the patties are fried and are usually soggy, and the oven-baked version, while healthier, is also often just plain soggy! Otherwise, of course you can add that flesh to the general mixture! Oh that's funny! Just yesterday, my friend was saying how mucver is one of the things she needs to learn to cook before she leaves Turkey! these look so good! i hope i get lots of zucchini this year. so far just flowers! when do your zucchini usually appear? Can you stuff the flowers? I've made a similar Turkish recipe before – they were just wonderful! I made up my own recipe for these courgettes when we were in Provence two weeks ago. I did it vegetarian and included the scooped out flesh, mushrooms, red pepper, garlic, shallots, parmesan cheese and bread crumbs. I essentially used a recipe I have for stuffed mushrooms and instead stuffed the courgettes. I blanched the courgettes before I scooped out the flesh which made it easier to do. And how did they taste, Michel? Were you pleased with the result? In Provence these are used for "petits farcies" – your filling looks scrumptious, Claudia! Hi Barbara! 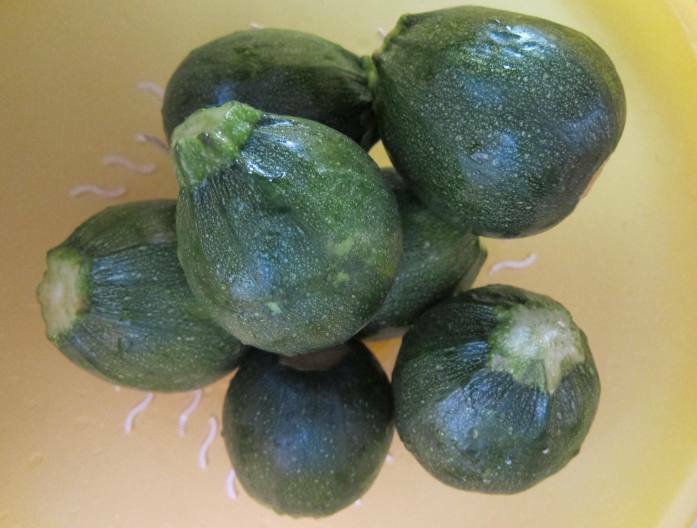 I suspect that you can easily find these little round courgettes at your local market – am I right? Do you cook them a lot? 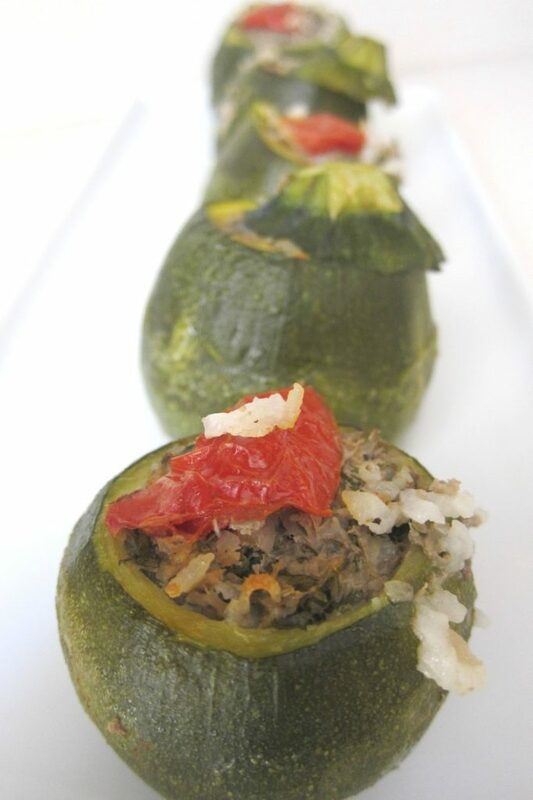 They look so delicious….I love those lil' chubby zucchini's, but unfortunately we only have the long ones. Actually I love anything that's a 'dolma'. You inspired me to make them this weekend…..but I'll have to hunt in the Asian veggies stores here to find some lil' peppers or zucchinis. Otherwise we have those huge green, red, orange or yellow bell peppers. Thanks again for sharing your lovely photo's and recipe….they look so good I could almost taste them. Hi Erica, I have to say, I do love those huge peppers but they are entirely different to what we normally get here. Although in the more upmarket supermarkets, we do get those others. Hi Julia! I've missed you! Too much travelling on my part, I guess… good for you, for experimenting with these little courgettes … I am sure they are delicious! Well Claudia, between you and Özlem, I've decided I must make dolma this week. 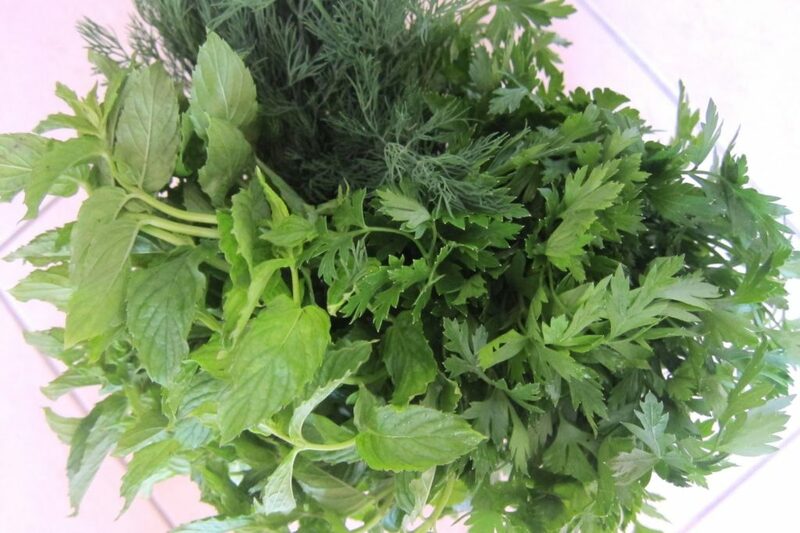 We have such nice vegetables in our market on Friday and your photos are so tempting, I'll do it! Delicioso me encanta muy lindos,saludos y abrazos.